The ultimate shift of the Nano project from Singur to Gujarat has, of course, brought an end to the complex story that aroused political passions of different hues across the country for quite sometime. That aside, the whole story offers many lessons to learn—particularly, for the nation that is in transition. The first is the role of the government in the entire episode. From the statements of Tata one is tempted to conclude that both Tatas and the present government were quite enthusiastic about establishing the unit in Singur, but it was an opposition party which had—by resorting to agitation at the plant—made them abandon the plant halfway. This raises a simple but valid question: Was the government of the day not in a position to let its writ rule the land? Or, was it that the project per se had inherent weaknesses that made the government keep cool at the threat of the opposition? But in either case, it speaks poorly of the government and its governance. The fallout of this sad episode—government’s inability to let a legitimate business entity that is expected to generate a lot of employment locally carry on its business with no disturbances—does not confine to West Bengal alone. It will indeed make a bad reflection on whole of India among the investors—be it domestic or overseas investors. 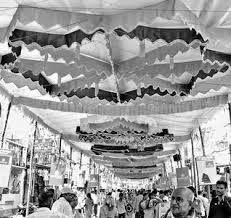 One could as well imagine the embarrassment that the government of West Bengal has to face today in projecting the state as a prospective industrial destiny before potential investors and invite them for establishing new industries. It would be no wonder if from now onwards the government has to pay more in terms of benefits to the investors for attracting them to the state. That aside, right now, it has made the State of West Bengal forgo one of its best opportunities to prove that it is a place well set for doing business. 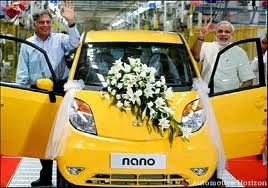 It has indeed offered the Tatas generous benefits—almost free land, subsidized power on permanent basis and massive tax breaks—to back the Nano project, all in the anxiety of selling West Bengal as a state for investment for the first time under the communist regime after almost four decades. Now, it has been lost simply because the government has failed in ensuring “multiparty-partnership”—taking all the political parties into confidence—in drafting its industrial policy. It is, of course, a different matter that such seeking of collaboration from other political parties may impose constraints on the party in power in offering all that the investors ask for establishing themselves in the state, but such a mechanism certainly provides an assurance for continuing whatever benefits that the government offers, even in the future. This is one lesson which the nation as a whole has to learn from the Singur episode. This sad episode also raises a few fundamental questions, more in the light of the dominant role that the private industry is destined to play under the dispensation of ongoing globalization and liberalization. In our present transformation from public investment to private investment, where state governments are competing with each other to attract investments to their respective states by offering all sorts of benefits, it calls for a long-term and reliable commitment from the state governments, for the success of large projects squarely rests on their timely execution, and scraping of concessions given by one government by the succeeding government is sure to make them unviable. It is again to ensure such stability in government policies that there is a need for state governments to grant such concessions to project in association with the opposition parties. In the interest of industrialization and employment creation in the state, it is perhaps necessary for the state governments to intervene in the acquisition of large tracts of land from private ownership that is needed for establishing industrial units. Otherwise, the execution of projects is likely to be delayed which again no investor/stakeholder of a business would like to face. In this context it makes great sense for the governments to encourage the establishment of industrial units in lands that are not put to agriculture with extensive irrigation facilities. Such an approach makes land acquisition easy. Simultaneously, the compensation package worked out for such land acquisitions must also take into consideration the claim of people depending on such lands for their livelihood without of course having ownership. It is only such all-inclusive compensation packages that can enable governments to acquire large tracts of lands with least resistance. Secondly, encouraging usage of dry tracts of land for industrialization would also ensure that food production—which could only happen in fertile lands with irrigation facilities like that of Singur—remains unaffected in the country. The Singur incident also tells industrial investors, though subtly, that they cannot expect everything that they want to be offered by the state governments on a platter. They also should realize that acquisition of large tracts of land, without regard for the adverse impact it creates on the landowners and the governments, as well is not that easy. They must therefore be judicious in estimating their land requirements. Similarly, they must also be prudent in their demand for concessions from the governments. For instance, in the case of Singur there is an allegation from certain quarters of the Press that the concessions sought and obtained by Tatas from the government do not speak well of their corporate social responsibility—precisely why they should evince concern for the rehabilitation of the farmers and laborers evicted from the acquired lands in the larger interest of the society. Then only businesses can expect to be treated well.